Much like the drop in Crude Oil over the last few weeks, the drop in the Canadian Dollar has been fast and furious. 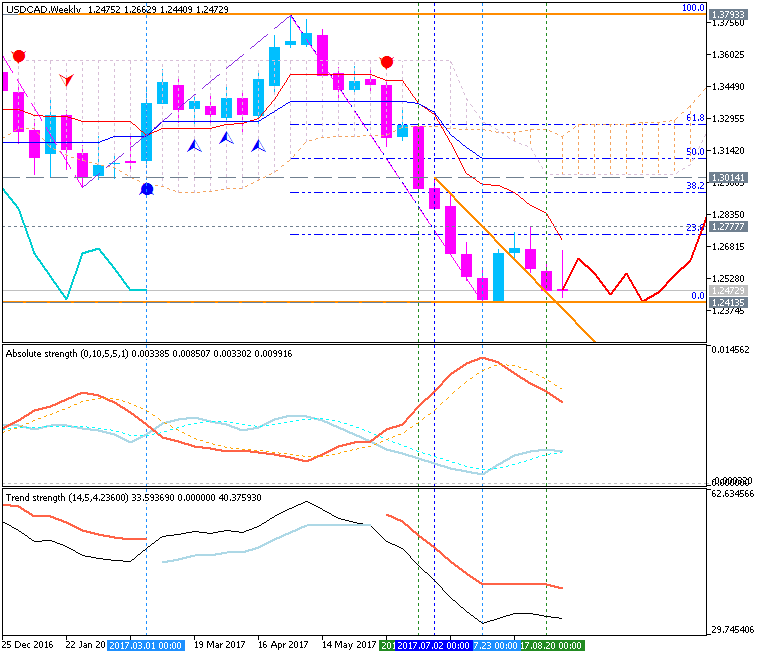 In mid-April, USD/CAD was trading near 1.3200 around the same time that Crude Oil was trading north of $53/bbl. Fast forward to the end of May’s first trading week and Crude Oil has an intraday low nearly 20% lower at $43, and the Canadian Dollar traded as low as $1.38 to the USD. The correlation to CAD and Crude Oil is common knowledge even if the strength of the correlation ebbs and flows from month to month. 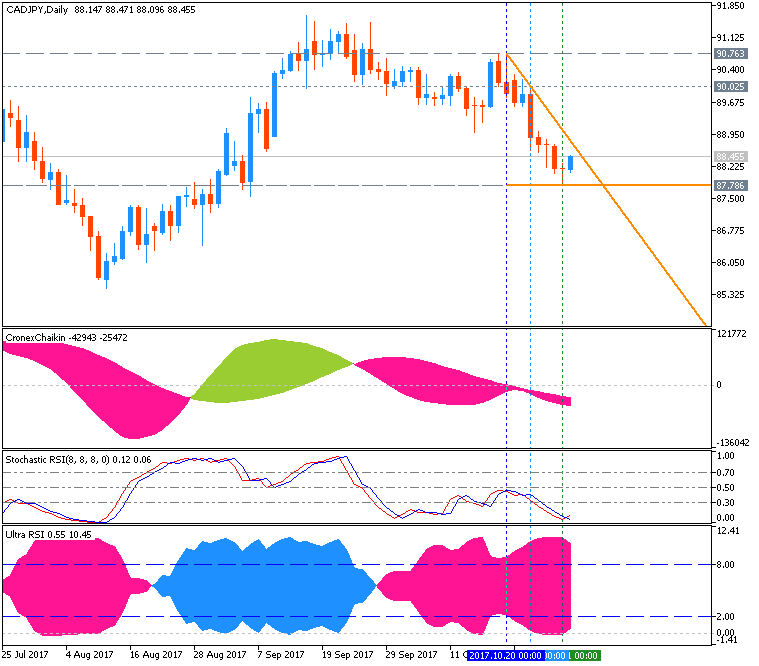 This week, Crude Oil went from bad to worse as there appeared to be a capitulation of long trades that were exited as multiple forms of price support continued to break. The same seemed to happen for the Canadian Currency, which sat at or near the bottom of the G8 SW ranking for most of the week with the Japanese Yen and the Australian Dollar, which is also correlated to commodities like Iron Ore. The bid in Crude Oil over the last few sessions has been welcomed news for CAD longs, which benefit when USD/CAD falls. However, the news out of the energy market may not stay supportive for long. On Thursday, OPEC raised their 2017 estimate of supply growth from non-OPEC producers (i.e., US Shale) by 46%, which is a direct threat to the supply curbs put in place by OPEC and Russia and expected to be extended to help rebalance the market. While there has been a bounce in Crude Oil over the last few sessions, hopeful bulls should be reminded we traded at 5-month lows last week, and we continue to get information showing that global demand may be falling, not rising as total supply is not falling as much as originally planned. The rebound in the price of Crude Oil after retesting a long-term support zone near $43/bbl may come at a great time for CAD bulls. 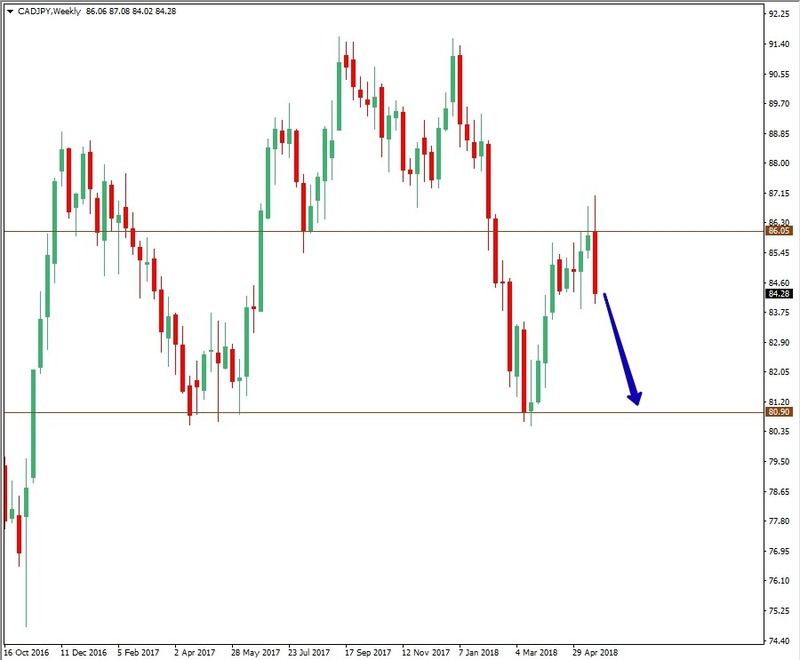 The Canadian Dollar has strengthened aggressively, sinking USD/CAD like a stone since May 5, and a boost was recently given when Bank of Canada members Wilkins and Poloz lauded the surprising growth of the economy despite Oil's weakness. After these comments, the markets began to price in a rate hike in 2017 for the Bank of Canada, and a swing of commodity momentum could boost that swing further still. A break below 1.3165 would increase the odds that we'll see a move to 1.2970, which is the 2017 low that we traded at in February. The wildcard, of course, will be the US Dollar that is the proud owner of a flattening yield curve that could signal waning confidence in future growth as the market is beginning to price is a more hawkish Bank of Canada. 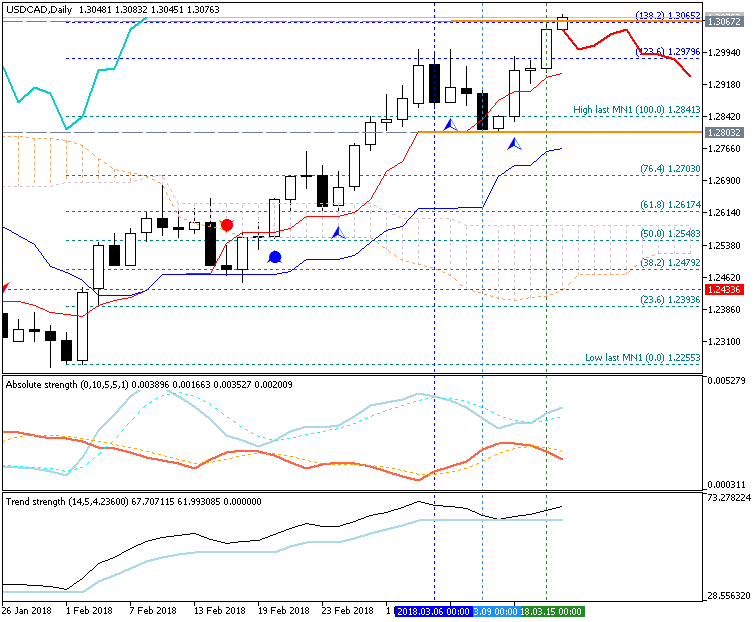 Resistance remains at the June 21 high of 1.3347. A close above this level would favor holding off and looking for better levels to sell. The 1.24 hand showed two wave relationships showing up the area. First, the 61.8% extension of the January 2016 to May 2016 down trend projected to 1.2399. Secondly, within the current down trend that began May 2017, there is a 2.618 extension near 1.2475. With two different wave projecting wave relationships near the same level, a reaction higher is likely. The depth and shape of the bounce will alert us if the downtrend is over or if it is merely taking a breather. 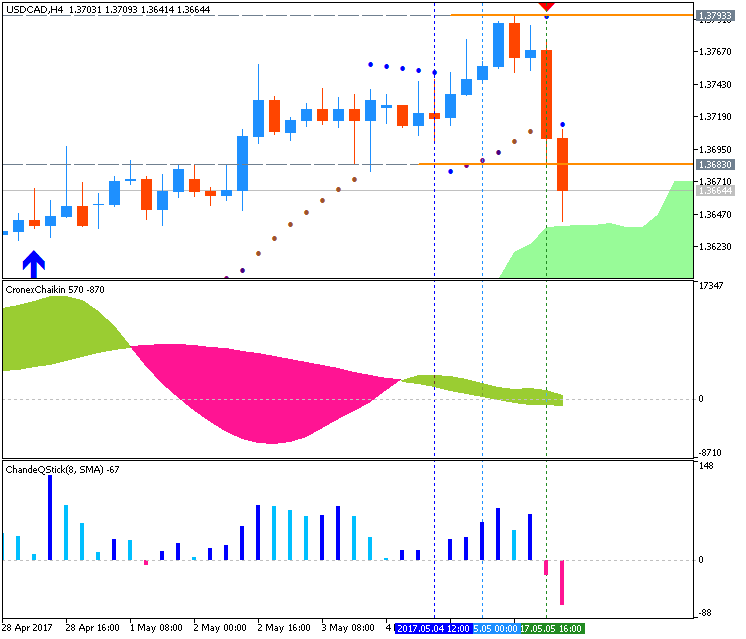 It would be considered normal for the bounce higher to work back towards the 1.28 handle. If the bounce higher proceeded as a slow grind of overlapping waves, then that would suggest the upward push is corrective and further downside may prevail in the longer term. The Canadian Dollar experienced a significant bout of strength on Thursday morning after a GDP print for 2Q got people talking. What they were talking about was that another BoC hike could come as soon as the September meeting after a 3.7% expected GDP print came in at 4.5%. This pace of growth in the Canadian Economy is the fastest since 2011. Another component worth watching that had a +0.98 20-day rolling correlation coefficient, which signals the strength of the relationship, is a tightening between US and CA 2-year yields. You do not have to be well versed in fixed income/ sovereign bonds to see that the two-year yield on a country’s sovereign debt is often treated as a proxy for what the central bankers are expected to do from a monetary policy standpoint. Since May, we have seen the spread between US and CA 2-year yields go from 61 bps in favor of US yields to as tight as 3bps in late July, and after widening in mid-August, the yield spread is narrowing toward the 3bp mark. In other words, the Bank of Canada is expected to be neck-and-neck with the Federal Reserve looking 2-years into the future, but the trend of each central bank’s actions favor the Bank of Canada as being more hawkish and thereby leading the spread and possibly strengthen the CAD further. USDJPY: Retail trader data shows 48.6% of traders are net-long with the ratio of traders short to long at 1.06 to 1. The number of traders net-long is 0.7% lower than yesterday and 8.3% lower from last week, while the number of traders net-short is 1.6% higher than yesterday and 0.2% higher from last week. The Canadian Dollar rate has fallen across the board after a cautious Bank of Canada aligned with multiple factors that could put further pressure on the CAD. Despite sharp gains last Friday in CAD due to impressive employment gains, the Canadian Dollar rate fell below 1.28 to the USD. Key drivers of Canadian Dollar weakness in global markets a day after the Bank of Canada left rates unchanged were commodities selling off led by metals like Gold and Copper and the spread between US Treasury 2 year yields and CA 2 year yields widened showing the market believes tightening in the coming years will favor the Federal Reserve. While small on absolute terms, the U.S.-Canada 2-year sovereign rate spread widened to32bps vs. 26bpsbefore Wednesday’s BOC rate decision showing a market forces favor USD for now. Another persistent concern among Canadian Dollar rate traders are deteriorating NAFTA negotiations, which prompted Prime Minister Trudeau to suggest a Canada-U.S trade deal remains possible if NAFTA fails. 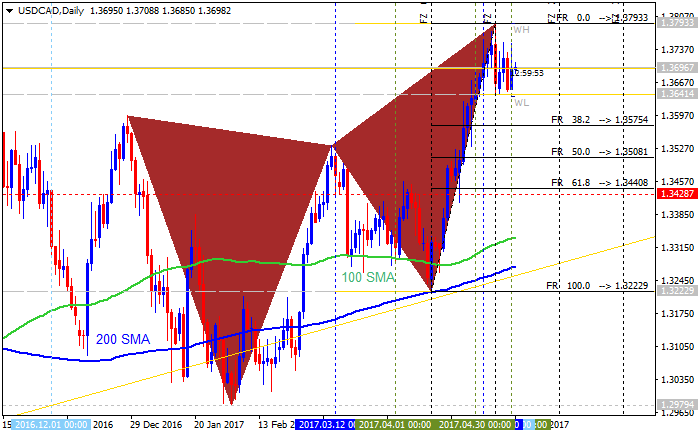 Only a breakdown below 1.2650 on a closing basis for USD/CAD would adjust the bullish forecast. Retail trader data shows 45.1% of traders are net-long with the ratio of traders short to long at 1.22 to 1. We typically take a contrarian view to crowd sentiment, and the fact traders are net-short suggests USDCAD prices may continue to rise. Calm appears to be returning to FX markets that were shaken so dramatically in the opening days of February trading. 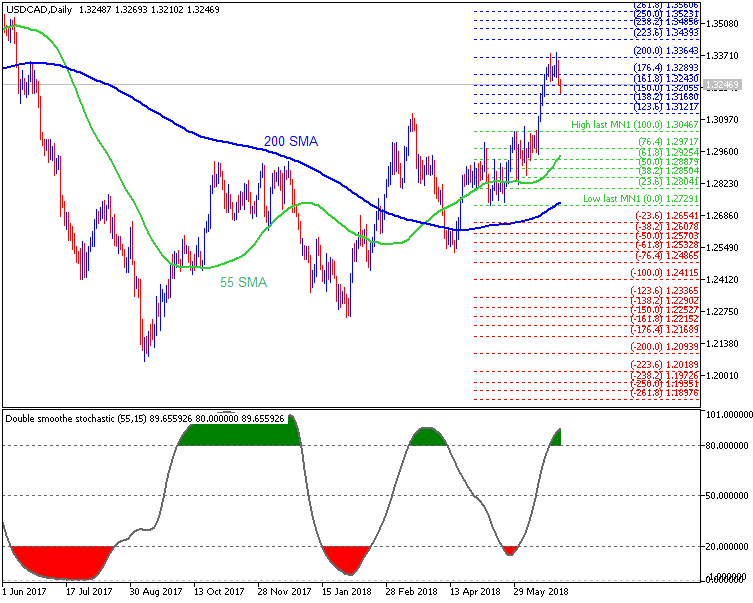 For trend traders, lower volatility is often a favored backdrop for trading since volatility is often directionless noise, or can simply make it difficult to hold on to trades with compelling fundamental arguments for a trend continuation. When traders look at the JPMorgan Global FX Volatility Index, they will see that the 3-month expected volatility dropped to the lowest level since January. A two-month low may not sound like much, but January saw the lowest level in three-years. 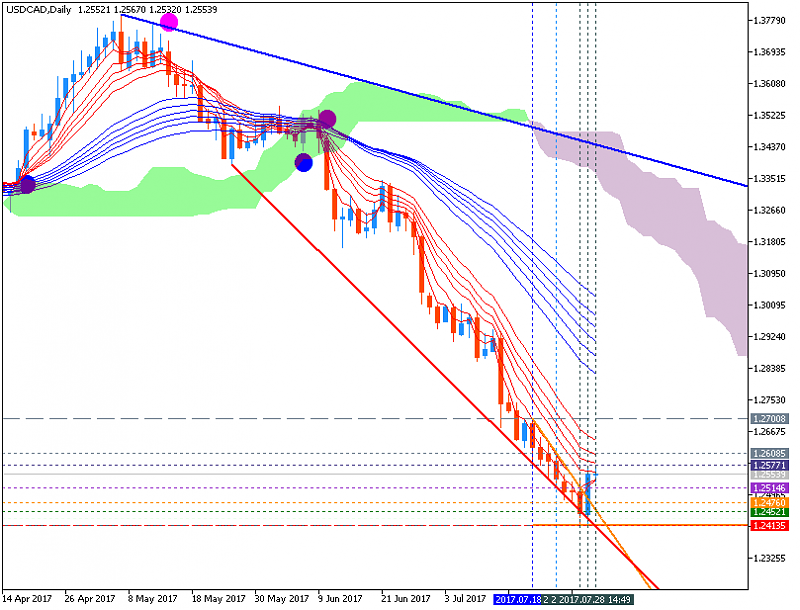 While high-volatility favors traders who simply are looking for aggressive price swings, low-volatility tends to be an environment where trends as highlighted by Ichimoku can extend. 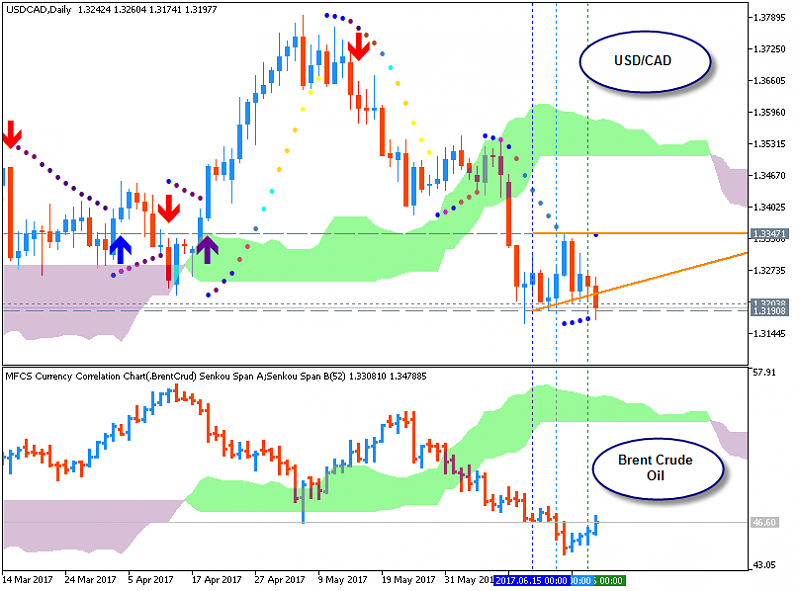 Since the lagging line on Ichimoku when applied to the USD/CAD chart broke above the cloud alongside price, traders were encouraged to be looking for signs of a trend continuation higher. Three weeks after the lagging line breakout, USD/CAD is trading to the highest levels since June. Per Ichimoku, the lagging line (current candle close regressed 26-periods) is a key signal that the Bullish momentum is back. However, in addition to lagging line above price, traders that utilize Ichimoku also look to the lagging line in relation to the cloud. A lagging line break above the cloud, which would signal the current price has cleared multiple forms of resistance and could continue in the direction of the trend higher. 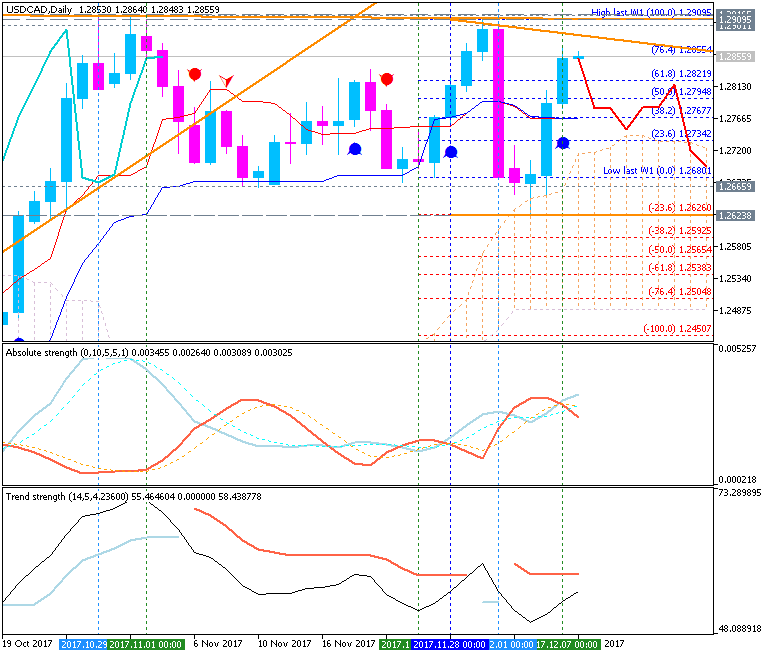 Adding RSI(5) to Ichimoku shows a rising floor that backs the broader trend. Add IG Client Sentiment to this picture and you can see that short positions have been on the rise since early February. Economic data has aggressively disappointed consensus for much of 2018. The Citi Economic Surprise Index for Canada has consistently fallen through Q2, and in so doing has hit the lowest levels (meaning aggressive disappointments to economist's expectations) since May 2013.